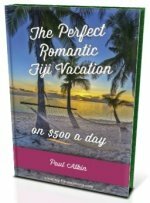 Want to know about exclusive Turtle Island Resort Fiji? Explore this world renown 5-star eco-resort on it's own island offering a unique eco-luxury getaway. - Who does Turtle Island Fiji suit? Who Does Turtle Island Fiji suit? Suits couples wanting a secluded all inclusive private eco-luxury getaway. 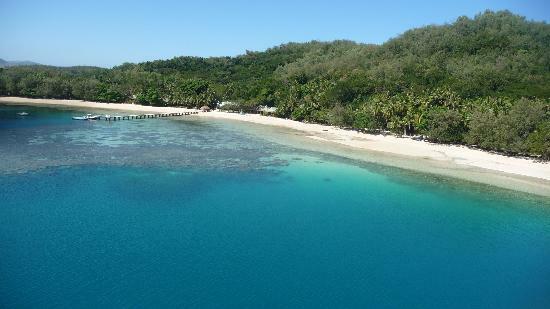 Turtle Island Resort Fiji is located on it's own 2km² private island, Turtle Island also by it's traditional name Nanuya Levu, in the Yasawa chain of islands in the north western part of Fiji. For more information about the island and it's history, visit our Turtle Island Fiji section. 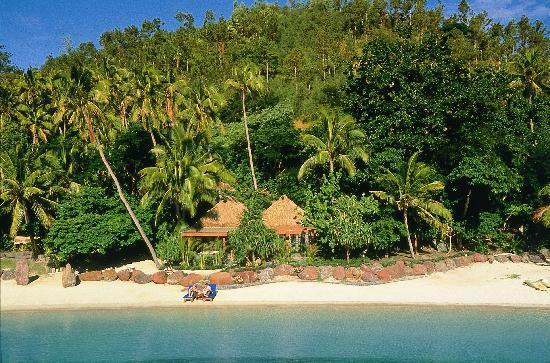 Since Turtle Island Fiji is a private island, you can only visit if you are staying at it's resort. The resort organises your transfers to/from Nadi Airport. Your Turtle Island experience starts and finishes with a 30-minute scenic seaplane trip. 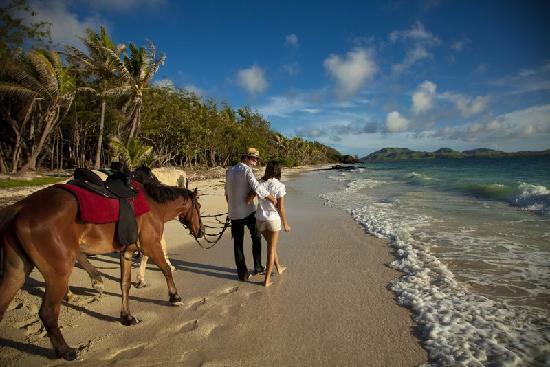 It perhaps doesn't get any better than at Turtle Island Resort Fiji. 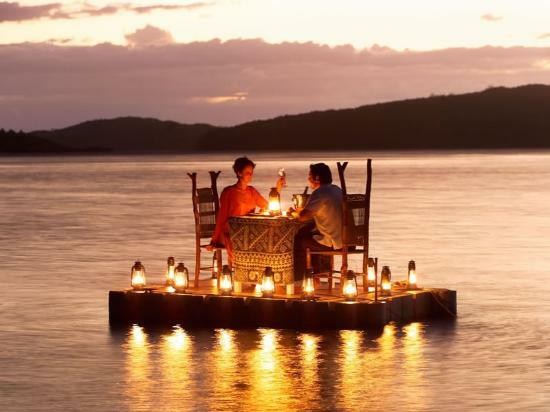 Private pontoon dinners, private beach picnics, mountain top meals, I'd say anywhere you desire even up a coconut tree if the spirit moves you (Fijians are expert coconut tree climbers!). Your scrumptious meals comes from it's 4-acre organic fruit and vegetable garden, and seafood coming straight from the local boats. Lobster-champagne picnics and fresh 5-course meals with top wines are the daily norms. 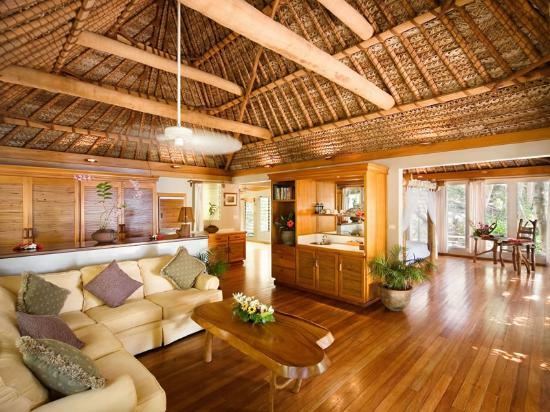 Food is prepared by six Fijian chefs with a pastry chef cooking your daily breads and snacks. Turtle Island has 14 beaches, so is it a coincidence that there's a maximum of 14 couples in 14 bures on the island? I think not. Explore these exotic private beaches and claim one for yourself for the afternoon. A private champagne picnic coupled (pardon the pun) with snorkelling springs to mind. Rates are per bure per night. The sole Deluxe Bure starts at around US$2,000 and the 12 Grand Tuga Bures start at US$2,499. The Vuda point bure is $2,999. All rates include all meals, beverages, and almost all activities. 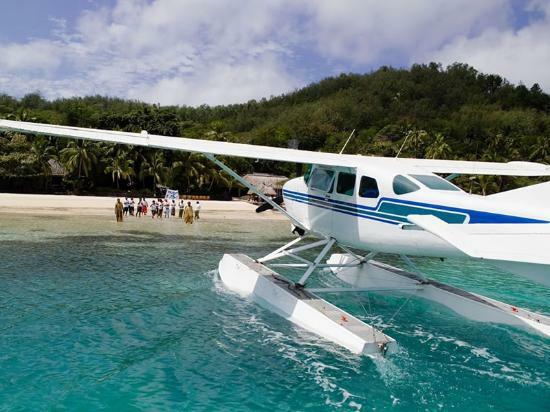 Seaplane transfers are $1,000 per couple return.